The report on Aesthetic Devices Market offers in-depth analysis on market trends, drivers, restraints, opportunities etc. Along with qualitative information, this report include the quantitative analysis of various segments in terms of market share, growth, opportunity analysis, market value, etc. for the forecast years. The global aesthetic devices market is segmented on the basis of type, application and geography. The worldwide market for Aesthetic Devices Market is expected to grow at a CAGR of roughly 10.0% over the next ten years and will reach US$ 20,994.0 Mn in 2028, from US$ 8,089.0 Mn in 2018, according to a new Market.us (Prudour Research) study. By type, the market is segmented into Laser Hair Removal Device, RF Device, Body Contouring Device and Face Care Device. By application, the market is divided into Beauty Salon, Hospitals and Household. , Wuhan Yage and Toplaser. In an insight outlook, this research report has dedicated to several quantities of analysis - industry research (global industry trends) and Aesthetic Devices Market share analysis of high players, along with company profiles and which collectively include about the fundamental opinions regarding the market landscape. Emerging and high-growth sections of Aesthetic Devices Market, high-growth regions, and market drivers, restraints and also market chances. The analysis covers Aesthetic Devices Market and its advancements across different industry verticals as well as regions. 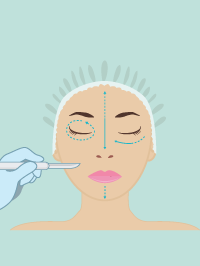 It targets estimating the current market size and growth potential of the global Aesthetic Devices Market across sections such as also application and representatives. Additionally, the analysis also has a comprehensive review of the crucial players on the Aesthetic Devices Market together side their company profiles, SWOT analysis, latest advancements and business plans. To know the Aesthetic Devices Market by pinpointing its many subsegments. To endeavor the amount and value of Aesthetic Devices sub-markets, depending on key regions (various vital states). To analyze Aesthetic Devices Market concerning growth trends, prospects and also their participation in the entire sector. To examine and study the Aesthetic Devices Market size (volume & value) from the company, essential regions/countries, products and application, background information from 2012 to 2018 and also prediction to 2028. Primary worldwide Aesthetic Devices Market manufacturing companies, to specify, clarify and analyze the product sales amount, value and market share, market rivalry landscape, SWOT analysis and development plans next coming years.